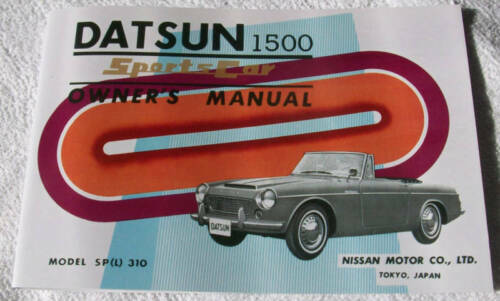 REPRINT 1969 Datsun 1600/2000 roadster owner's manual - ONLY 22 COPIES LEFT! 1978 Datsun Dealer Brochure Advertising Booklet Book Measures 11" x 8.5"
Genuine NISSAN Factory OWNERS MANUAL 1981 Datsun 280ZX! 1972 Datsun 240Z S30 Series Chassis/Body/Engine Service Manual SET_Nissan ORIG! Vintage Original DATSUN 240 Z Fold-Out Brochure Catalog RARE!